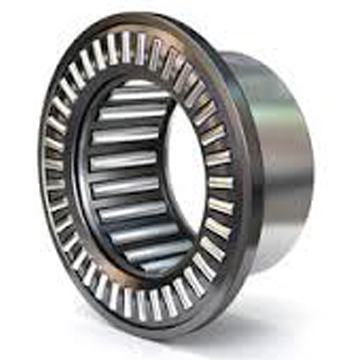 Combined roller bearings are also known as combined needle roller bearings and they are made up of a radial needle roller bearing that is then combined with a thrust bearing. This means that they can withstand and accommodate both radial and axial loads and are the perfect choice for applications where radial space is limited. Combined roller bearings are well suited to a range of different applications including oil drilling, exploration equipment and forklift truck attachments and other applications that require high loads. As well as being well suited to applications with high loads, combined roller bearings are able to operate within high-precision environments with common uses including medical machinery. There are many types of combined roller bearings including needle roller bearings with thrust ball bearings, needle roller bearings with thrust roller bearings and needle roller bearings with three-point contact ball bearings. For all combined roller bearings the maintenance and lubrication of the radial and the thrust element of the bearings needs to be calculated separately. If in doubt you should always use the shorter of the two intervals for maintenance and lubrication. Whatever your bearing needs at Hunt Bearings we will be able to help you find a solution that matches your needs, for a free no obligation quote give us a call today on 01256 761067. For reliable supplies of bearings of all kinds, supported with a friendly team contact us today for a quote.